There are a few things better than adding a show-stopping new fragrance to your perfume arsenal. Whether you are a man or a woman, wanting to smell on-point and deliicous is something we can all relate to regardless of gender. Fortunately, Tom Ford is one of the highest quality fragrance manufacturers in the world for men and for women. In this case, we wanted to showcase for all of the ladies out there. So, sit back, relax and enjoy the top 10 best tom ford fragrances for women on the market! If you're looking for a show-stopping fragrance that will make an unforgettable statement, Tom Ford is absolutely your signature brand. From sweet, bright and airy fragrances to bold, spicy, sultry scents, Tom For provides you with a signature scent that will make heads turn. So, you can't decide which one is right for you? We broke it down into four easy categories to help you find the perfect fragrance for everyday wear or your next big event. Perfumes come in varying sizes. If you know you love your scent, it's better to buy in bulk. If you want to test it out, buy a few in smaller sizes. Scents are divided into top notes, heart notes, and bass notes. These describe the full body experience you nose has when smelling a perfume. Let's face it, these scents will be sitting on your vanity for a while. They might as well look cute! Certain scents work better for everyday wear, while others may be for more special occasions. This gorgeous black bottle packs a serious punch when it comes to making a statement. But beware, this fragrance isn't for the timid. The top notes are packed with jasmine, gardenia, black currant, lempn, bergamot, and mandarin that give that first intial bite to your nose. Then, the fragrance is finished off with an intense velvet chocolate, vanilla, sandalwood scent that lingers and keeps others begging for more. The stunning minimalistic bottle was designed by Doug Lloyd and was launched in 2006. By far, this is one of the most luxurious fragrances from Tom Ford and one of the best on the market. We highly recommend this for a special occasion, holiday party, or event where you really want to stand out! Looking for a bright and light fragrance that will be the perfect show-stopper this summer? Tom Ford's Neroli Portofino is the fragrance for you. You'll drop jaws with this crisp, clean, and classy citrusy scent whether you're on your next exotic holiday abroad or just shopping down the street. For the top notes, tunsian neroi, italian bergamot, sicilian lemon, mandarin, lavender, myrtle, rosemary and bitter orange cut through. Mean while, african oragne blossom, jasmine, neroli, and pitosporum linger throughout your senses. The scent scloses with amber, ambrette, seed, and angelica base notes. In the end, we know you will fall in love with this bright citrusy fragrance. If you're on the quest for a feminine floral every day scent, this is the fragrance for you. Packed with a strong but wildly alluring floral aroma, this is a great way to wake up and truly smell the roses. For the top notes, bergamot, white peony, and coriander hit first that awakens your senses and leaves you alert. Later, rose aboslute, jasmine, and abmrette seed linger leaving a toned down floral scent. Finally, the scent clsoes with patchouli, blonde woods, and a warm spicy insense. ​All of these beautiful scents combined make a great every day scent for the springtime. We know you'll fall in love with this gorgeous fragrance. Want a bold signature fragrance that's shouts out, "I'm not afraid to be a strong badass woman!" that will turn heads everywhere you go? Yup, you came to the right one. This is the perfect bold masculine fragrance for women that breaks the mold for traditional scents. For the top notes, citrus, spice, mandarin, bitter orange, and ginger give a tangy first impression. Later, rose absolute, jasmine, oragne flower, and Indian kulfi accord linger and stick to the skin throughout the day. Finally, vanilla, amber, and sandalwood finish off the scent. Overall, we know you will love this scent for evenings out or special events. For those of you who want the perfect signature frgrance that matches their chic, unique, and contemporary style, this is the scent for you. This gorgeous fragrance exudes some of the most exotic scents blended from rare ingredients across the globe. For the top notes, bergamot, mandarin, cardamom, cinnamon, ginger, black pepper, and white pepper make an stunning first impression. Following that, the heart notes include broom flowr, jasmine sambac, neroli, ylang ylang, and clary sage. Finally, the base notes of Mexican vanilla, leather, woody notes, amber and labdanum create a warm and woodsy ambiance. In the end, this fragrance will have heads turning and works best for a fresh daily scent, or a show stopping work event! Looking for a scent that will spice up your energy level for a seductive night? This sultry yet sophisticated fragrance is the perfect booster for the end of a long work day or weekend. For the top notes, Itialian bergamot, mandarin, rum succan absolute, and honey warm the pallette. Then, the heart notes of jasmine, Turkish rose, Cattleva leopoldii orchid, black orchid, orange blossom, Moroccan rose, heliotropin, magnolia, jonquil, and hyacinth create a floral paradise. Finally, the base notes finish with labdanum, sandalwood, peru balsam, myrrh, suede, and Comoro island vanilla. This fragrance is definitely not for the faint of heart and can wake even the sleepiest of bears. So, be prepared for a long night in! One of the great benefits of wearing Tom Ford fragrances is they are extremely versatile for women and men. Most of their fragrances are made unisex and appealing to all. This particular fragrance happens to top the charts for women AND men in one of the best smelling fragrances on the market. First, the top notes hit hard with tobacco and spices that make a lasting first impression. Who doesn't love the smokey smell of tobacco? Then, the heart notes fill the room with tonka bean, tobacco flower, vanilla, and cocoa. Finally, the lingering base notes exude dry fruit accord and woods. It's the perfect blend that nobody will ever forget. For those of you who need the perfect summer fragrance, look no further. This head-turning scent is the perfect citrus blend that's fun and flirty and fits your feminine personality. It's light fragrance is perfect for any casual day at the pool or even an fun night out. For the top notes, bergamot, lemon, and petitgrain signal the pallette for a citrust burst. Then, the heart notes of neroli and orange blossom, create a floral tropical and summer paradise. Finally, the base notes finish with amberwood and musk, which leaves you feeling all the warm and fuzzies. We know you'll aboslutely love this fun and bright fragrance. We highly recommend this for spring or summer and for those that really like a citrus punch. If you're looking for the perfect winter fragrance that will keep you cozy throughout the cold season, look no further. 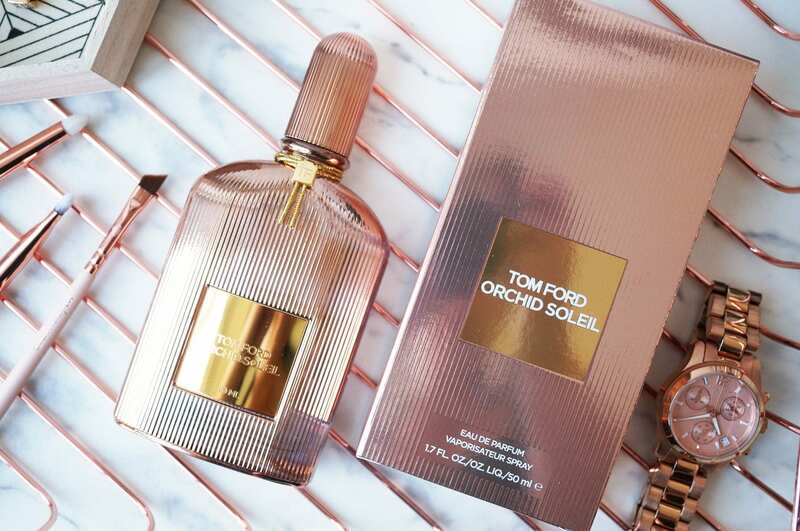 This gorgeous Tom Ford fragrance for women is a stunning piece to add to your fragrance arsenal. This deliciously comforting smell has hints of warm sandalwood, cinnamon, cumin and Fenugreek. After that, Carrot seed, Jasmine, rose and Ylang Ylang resonate in the heart notes. Finally, the fragrance finishes off with benzoin, agarwood, and musk that lingers for the rest of the evening. Ultimately, you will find this is the perfect fragrance for a darker, warmer sense. It works perfectly for colder weather. Snuggle weather is one of the best seasons of the year! That's why you absolutely MUST try this fragrance for some of those close and comfy moments. This beautiful warm fragrance is the perfect blend of spice and all things nice. For the top notes, saffron and black pepper introduce a spice to the pallet. Then, the heart notes of Rose de Mai, Turkish rose, and Bulgarian rose create a perfect floral blend. Finally, the base notes finish coffee, incense, amber, sandalwood, and Patchouli create a warm environment and a lasting impression.